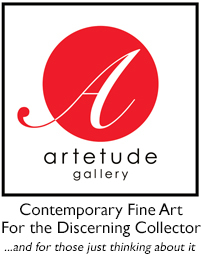 The American Society of Interior Designers Carolinas NW held their July meeting at ArtEtude Gallery on July 19. 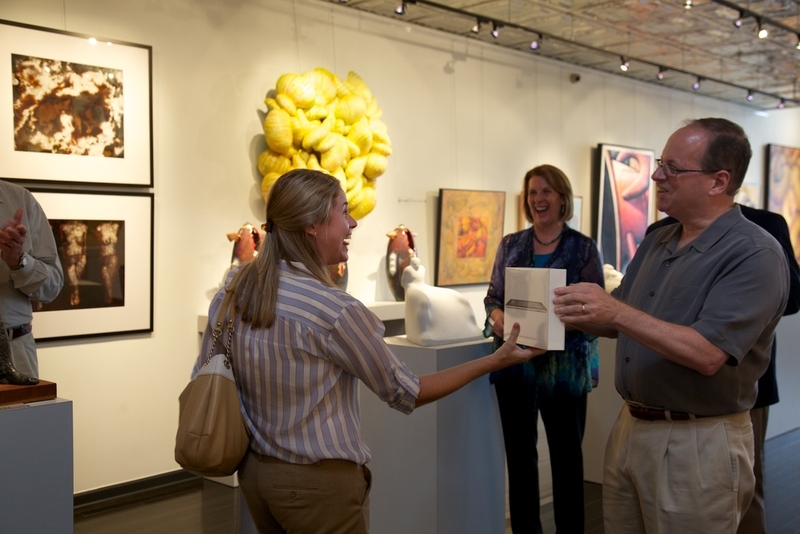 We were honored to have ASID use our gallery's space for this exciting event. This was a great opportunity for local professionals to see our gallery, admire our exhibited art, and build our relationships within the community. ASID's Victoria "Vicki" Schomer led the meeting, after which, gallery director, Perry Magee, welcomed and thanked everyone for coming. A brief speech was then given by the gallery president, Dr. Margaret "Kenny" Offermann. Dr. Offermann's connection to the Mission Hospital led to our joint decision with the Mission Foundation to donate 5% of our sales to their cancer center. Sculptors, Amy Medford and Leonid Siveriver, were also present at the meeting, and shared a bit about their work.